Is your business prepared for a disease outbreak? What are business vaccination programs? 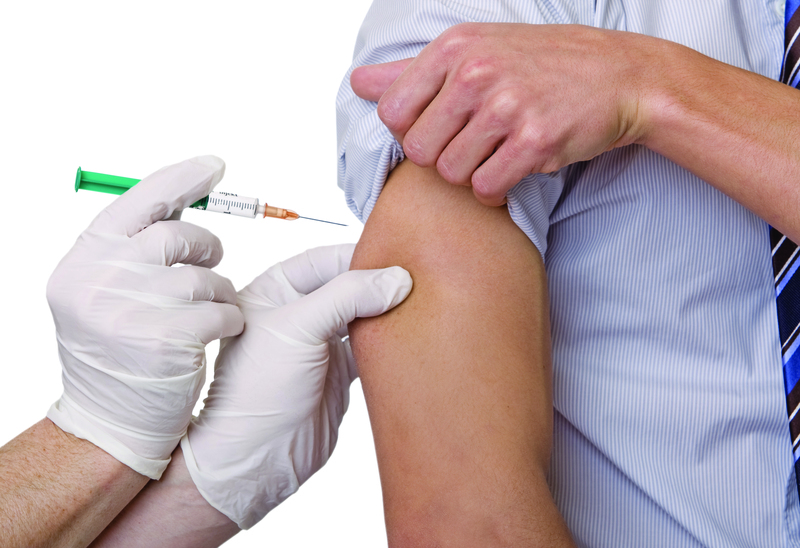 More businesses are offering vaccinations to their employees. Vaccination programs vary greatly from business to business. Some employers offer vaccination clinics onsite, whereas some allow work time for employees to travel to a clinic to receive their vaccination. Others are unable to provide vaccinations because of some form of barrier. Why have a vaccination program? Vaccination remains the single most effective preventive measure available against diseases. They can prevent many illnesses, absenteeism, and cut healthcare expenditures. Vaccines have saved countless lives and reduced or eliminated deaths from many diseases in the past century. However, thousands of people still become ill, are hospitalized, or die every year due to disease for which vaccines are available. When someone is not up-to-date on his or her vaccines, they leave everyone with whom they come in contact vulnerable to serious diseases. Click here to for more information regarding adult vaccination recommendations. How can Safeguard Iowa Partnership help? It is Safeguard Iowa Partnership's mission to prevent disasters, which includes the prevention of outbreaks of diseases that can compromise the health of every Iowan.